UltraPrep is designed to perform in-package die thinning and polishing, plus special machining functions for sample preparation. The die thinned and polished by UltraPrep are suited for all backside procedures because of the surface uniformity of the thinned and polished silicon. UltraPrep can also perform other functions including the removal of heat spreaders and heat sinks, as well as removal of plastic and die attach materials to expose the die in plastic packages. UltraPrep provides a simple, elegant solution for total backside device preparation. 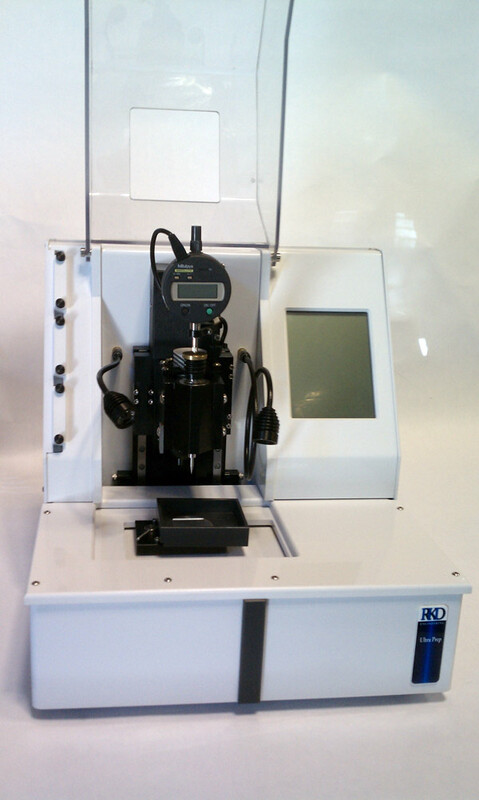 UltraPrep is a small, specially designed CNC milling machine controlled from a graphical user interface (GUI) that allows the operator to select desired functions and to enter critical device dimensions, as prompted from the GUI. Automatic tool touch-down detection and special alignment and die contour profiling functions make setting up on device fast and easy. 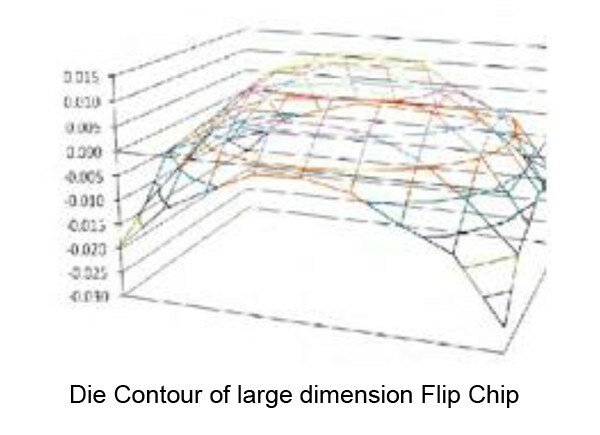 Concurrent sample tilt correction is also included. There is no need to level the device as the UltraPrep will accurately profile the die prior to commencing thinning and polishing protocols. Once a device has been processed, all process parameters can be saved as a process recipe. Up to 125 recipes can be saved, each with its own file name. 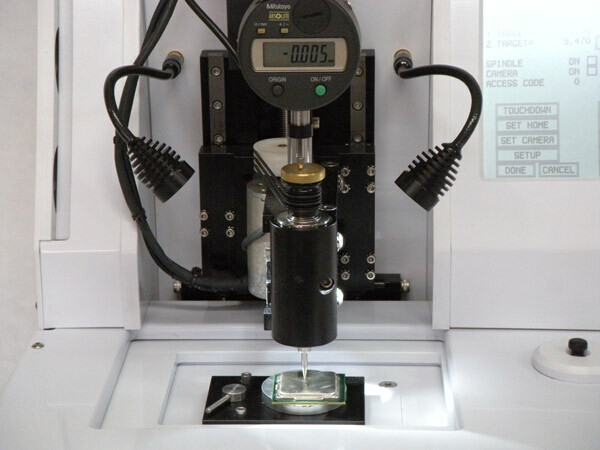 A unique fixturing system allows for removing the device being processed for cleaning or inspection without remounting or re-aligning the device. The system includes 3 media dispensing pumps (model 5400) to allow lapping and polishing with abrasive suspensions or CMP slurries. The device holder can be heated, if desired, to accelerate CMP processes.